In 1992 Simon & Schuster published Harvey Penick'sLittle Red Book,a book with the purpose of teaching people the essentials of golf. 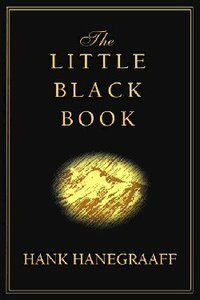 Likewise, Hank Hanegraaff, The "Bible Answer Man,"has writtenThe Little Black Bookwith a purpose of teaching the essentials of God. By communicating time-tested truths in an accessible format, Hanegraff is convinced that readers will learn to recognize false teachings instantly after understanding the truths taught inThe Little Black Book.In true Hanegraaff style, he introduces these new concepts with an easy-to-remember acronym, D-O-C-T-R-I-N-E-S.
About "The Little Black Book"